Wind-up animal toy with a wind up hopping mechanism. 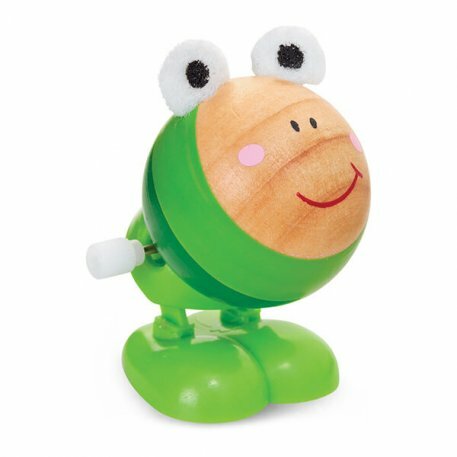 This great toy hops around any flat surface it is placed upon. Each has plastic feet and a round wooden body that is decorated with bright colours and pieces of felt. Designs include a chicken, pig, rabbit and frog. Great for working on fine motor skills! See below for more details. 4 years and up.